With a high reliability and the largest cross-sectional range on the market, these machines provide solutions to your wire-stripping needs. All of the stripping machines in the AI series are driven by an electric motor, and are capable of very precise stripping of various insulated wires. The ECM 04 is an electric stripper-crimper. 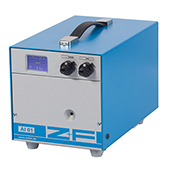 This machine allows the universal and reliable processing of Z+F ferrules from 0.5 up to 2.5 mm² (AWG 20 – 14). The handling of the ECM 04 is user-optimized compared to the ECM 03 and the blade change is easier to handle now. An integrated battery allows up to 3,500 working cycles when fully charged and without external power supply. 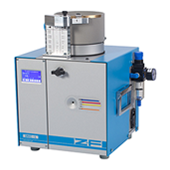 The UNIC-L is an electro pneumatic driven stripper-crimper. The UNIC-L allows quick and reliable processing of loose insulated Z+F ferrules for cross-sections from 0.5 up to 2.5 mm2 (AWG 20 – 14) with a crimping length of 8 mm. Insulated Z+F ferrules for tri-rated wires (special size “S“) can also be processed. 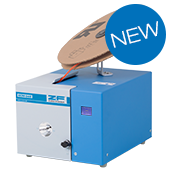 If you would like further information on any of the above Zofre machines, please click below to get in touch with us.